Scour monitor, which allows continuous data collection during scour events, either as real time monitoring system or in an autonomous mode for pre-installation research studies. 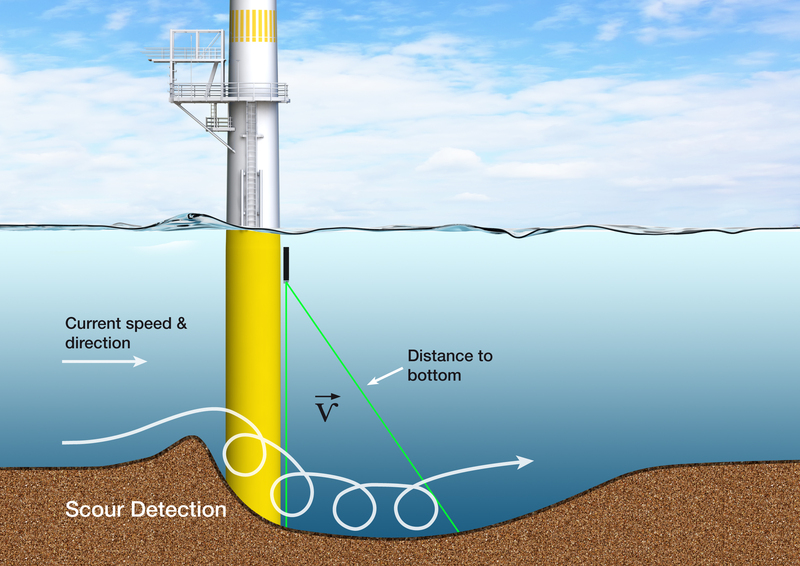 The scour monitor uses four narrow acoustic beams to detect the along- beam distance from the sensor to the seabed at four points away from the structure. Scour monitor mainly used for acoustic Measurement of sediment erosion and deposition in areas like offshore wind, bridges, jack-up rings, dam walls, etc.